Catherine Wood, Toronto, ON, Canada | The Secretan Center, Inc.
Catherine Wood, B. Comm., MA. Catherine lives her Destiny: “To transform pain and suffering into meaning and joy” through her successful private practice with adults for over seventeen years as a psychotherapist and as a life and executive coach. 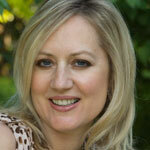 She has extensive media experience, and works with groups, couples, individuals, and organizations. She is passionate about making the lives of children and all people the best that they can be. Catherine is also highly inspired as she is in the process of realizing one of her life dreams: a doctorate in psychology.